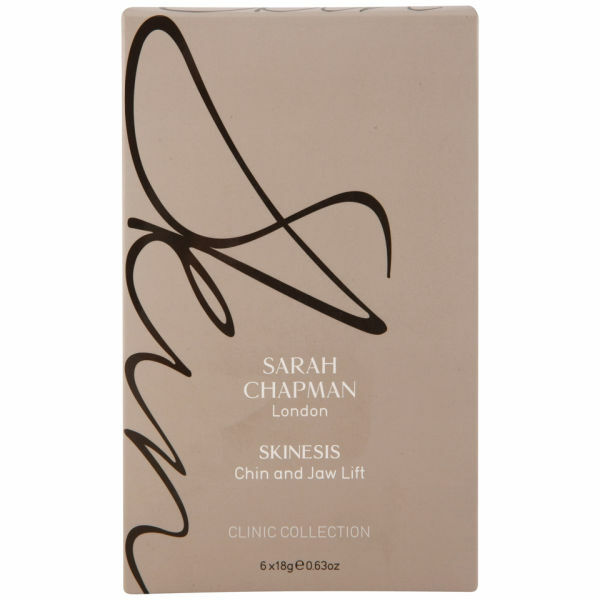 The Skinesis Chin and Jaw Lift Mask from Sarah Chapman is a high performance lifting treatment for the jawline and lower face. A unique combination of algae, plant collagen and Swiss botanical brighteners firm and tighten skin for a plumped, youthful-looking appearance, whilst vitamin C, hyaluronic acid, rose and chamomile flower water deliver intense moisture. 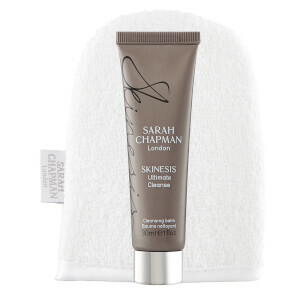 Improves skin texture and reduces sagging skin so you can experience a sculpted, defined jawline. E.N. Cleanse your face and neck and pat dry. Remove the mask from the sachet and unfold gently one section at a time. Stretch upper half of mask along your chin and jawline and hook over each ear. Remove your mask and massage excess serum down the neck. Use once a week or whenever you feel your lower face needs an instant lift. Actives: Plant Collagen, Pepha-Tight™, Gigawhite™, Hyaluronic Acid, Sesaflash™, Algae, Vitamin C, Rose, Chamomile Flower Water.